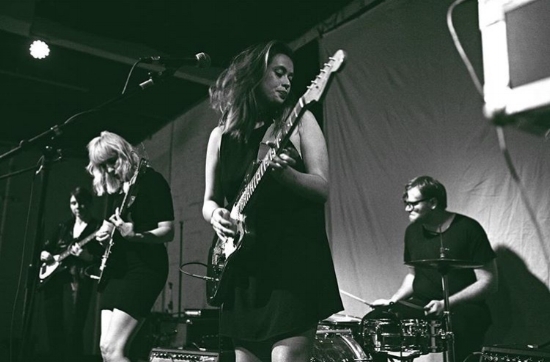 Rose Ette debuted their fresh take on indie-pop in 2015, and have since established themselves as one of Houston’s most exciting new bands. They captured their guitar driven sound on Jungle, their debut EP on Miss Champagne, by mixing the shoegaze influenced sounds of the Jesus and Mary Chain with a girl-group vocal style to create something lo-fi, melodic and unpretentious. Since then, the band has spent most of their time perfecting their craft, opening for the likes of Deerhoof, TYVEK, Fred Thomas, Dressy Bessy, Peach Kelli Pop, La Luz, Chris Cohen, Baio of Vampire Weekend, Shilpa Ray and Austin psych-rockers The Black Angels at the grand opening of White Oak Music Hall. In 2017 the band released a single, entitled Skin, which received praise earning them a slot on Free Press Summer Festival along with Frightened Rabbit, Portugal the Man and The Shins.